April 23, 2018 – The Nerds of Color, Black Heroes Matter, New Release Wednesday, and theblerdgurl, in association with André Robinson of Carbon-Fibre Media and Elijah Kelley of the Be A Boss App, are pleased to announce the opening of WICOMICON 2018, a one-day pop-up convention featuring comics creators, cosplayers, artists, music, and more! 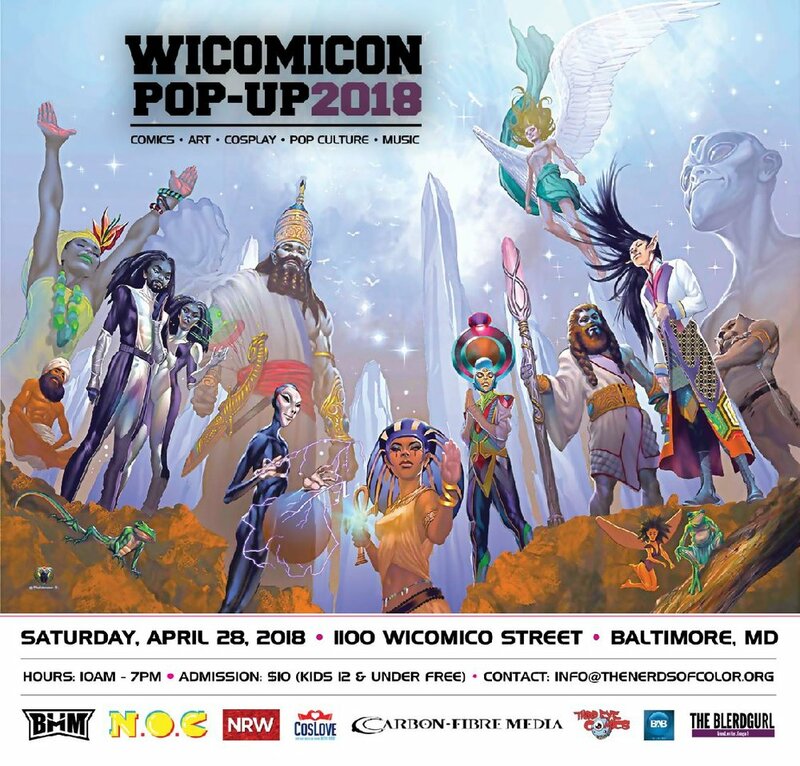 The name “Wicomico” is derived from the Algonquin words meaning “a place where homes are built.” Housed in a historic building at 1100 Wicomico Street in Baltimore, Maryland, WICOMICON 2018 will be a home for fans and artists left homeless due to the unexpected postponement of Universal FanCon. Featuring some of the most acclaimed names in the comic book, arts, and entertainment industries, WICOMICON 2018 will open its doors starting at 10:00 am on Saturday, April 28 and run until 7:00 pm. In addition to dozens of exhibitors, this unique pop-up convention will also feature panels, cosplay contests, special guests, and a wide variety of food options. Admission at the door will be only $10 for everyone ($5 for FanCon ticket holders) and free for children under 12 years old.